Taiwan is an oft-overlooked country but with one phone call, the tiny Asian country has found itself in the spotlight. 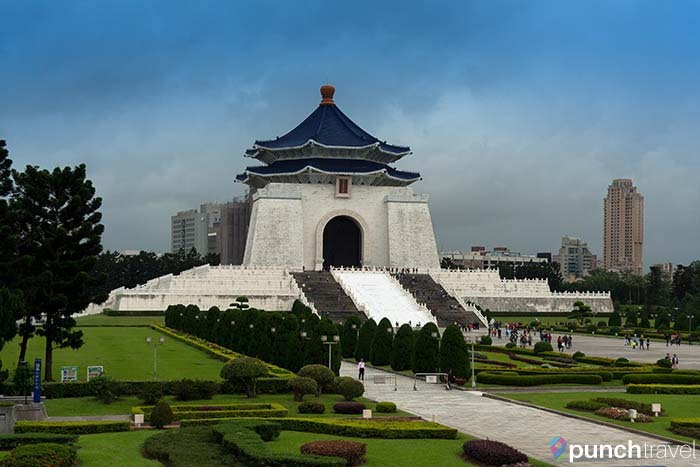 Politics aside, Taipei is a bustling, modern city that marries its Japanese colonial past with its Chinese heritage. It is a popular destination for its street food and night markets, but its natural ecological landscape should not be overlooked. 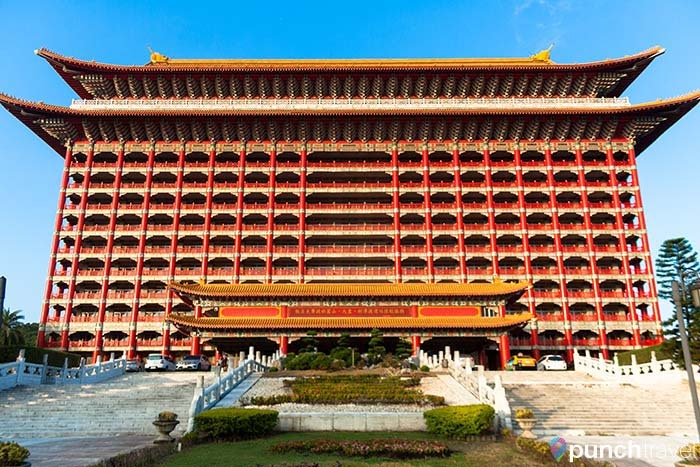 Taipei Grand Hotel, featured in the season premiere episode of ABC’s Fresh Off the Boat. 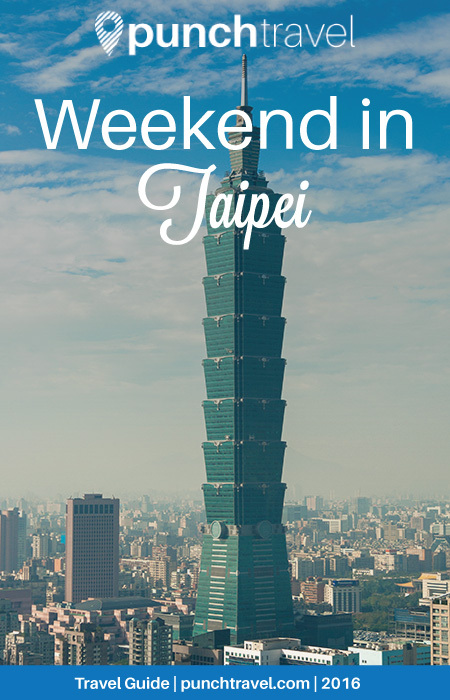 Read on to find out what to do, see and eat in Taipei, Taiwan. 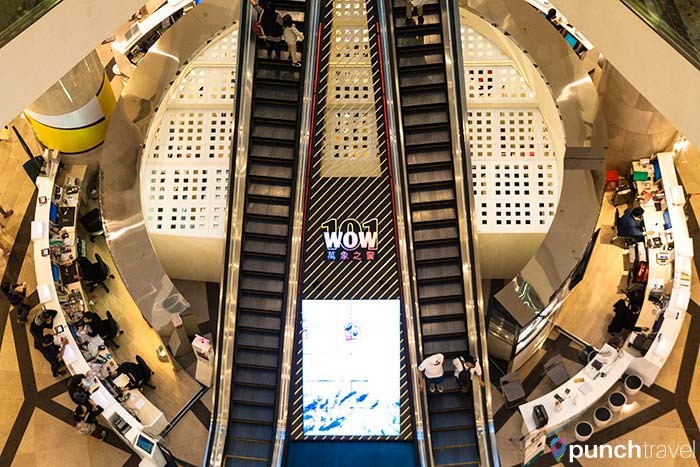 Start your weekend in Taipei by visiting one of its most popular shopping districts, Ximending. The pedestrian-friendly zone is lined with clothing stores, coffee shops, movie theaters and restaurants. 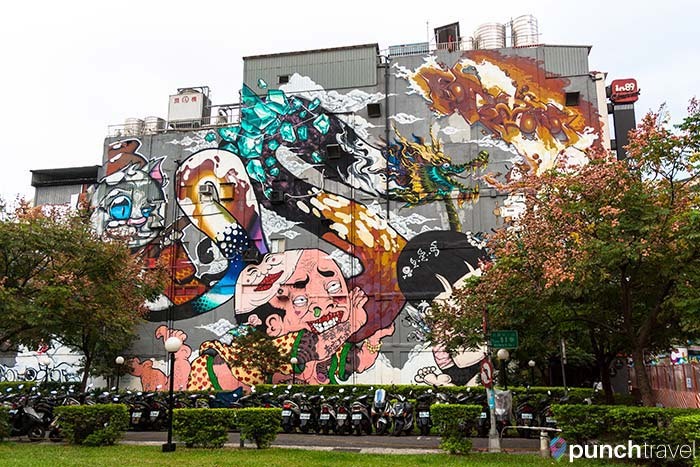 Near Taipei Cinema Park, you’ll find some impressive street art murals. You’ll find the gimmicky Modern Toilet restaurant here where everything from the food to the decor maintains the bathroom theme. Dine if you dare – if the off-putting smell doesn’t scare you away. For a better option, head to So Free Pizza. All the pizzas here are vegetarian and baked in a wood-fire oven. Taipei Botanical Garden is a peaceful oasis in the center of the busy city. 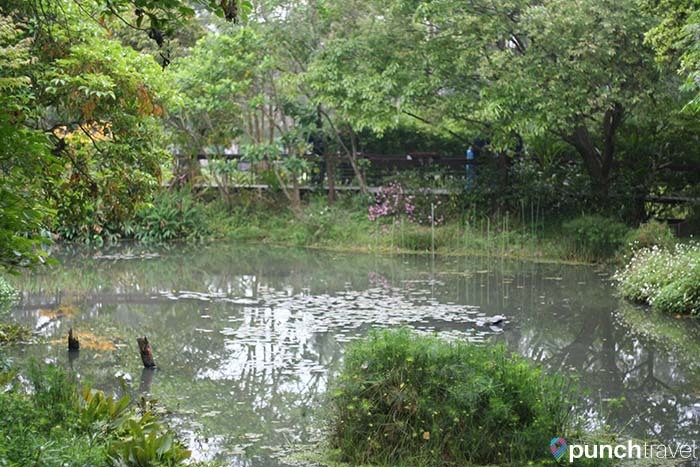 The park covers over 10 hectares and is a popular spot for bird enthusiasts. In the spring, the lotus pond is in full bloom with many herons, cranes and ducks. Around the park are several government buildings in traditional Chinese-architectural style. Among these is the National Museum of History, which contains artifacts as well as temporary art and cultural exhibits. Not far from here, is the National Chiang Kai-shek Memorial Hall. The plaza is immaculately clean and wide, with manicured gardens on either side. Framing the plaza on both sides are two concert halls. 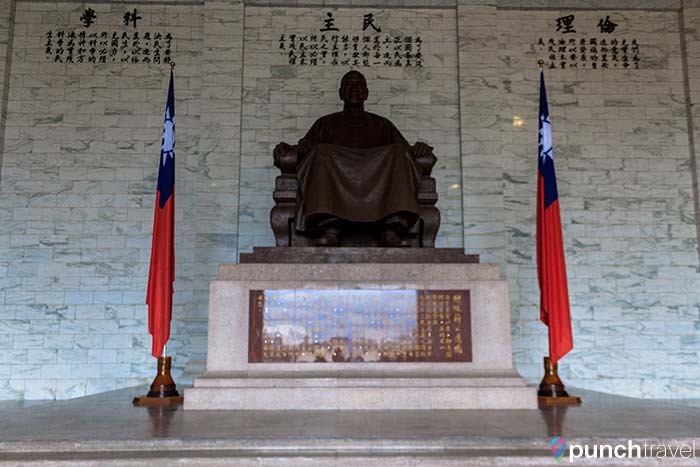 In the center is a building housing a giant bronze statue of Chiang Kai-shek, the founder of Taiwan. 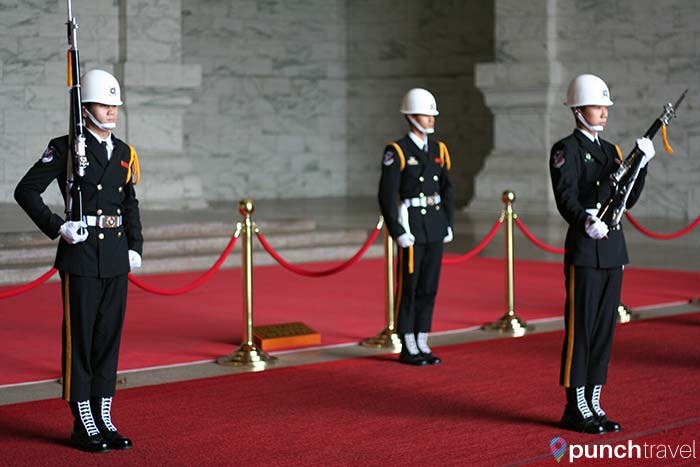 Within the hall, hourly changing of the guard ceremonies take place. On the ground floor is a permanent exhibition of Chiang Kai-shek’s life, including personal mementos, clothing, photographs and even official cars. Rotating temporary exhibits and art galleries are also housed here. Not far from here, Longshan (sometimes spelled Lungshan) Temple, is one of the most visited temples and attractions in Taiwan. 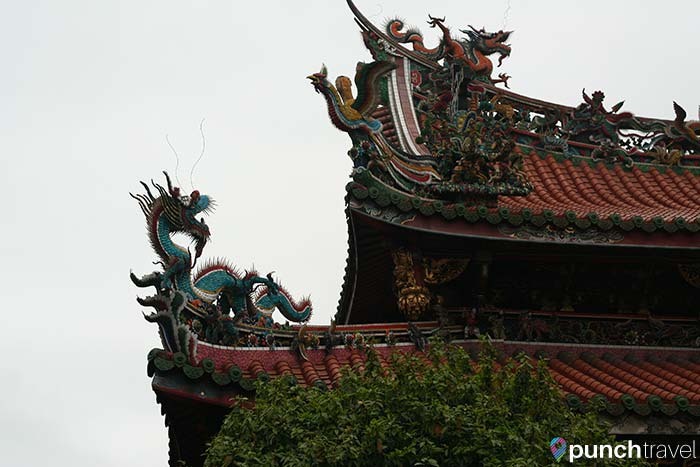 The Buddhist temple is notable for its traditional architecture and intricate wood and bronze sculptures. Taipei’s city limits stretch to the edge of Elephant Mountain and the surrounding mountain range. The close proximity to nature makes it easy to escape the commotion of the city and embrace nature. 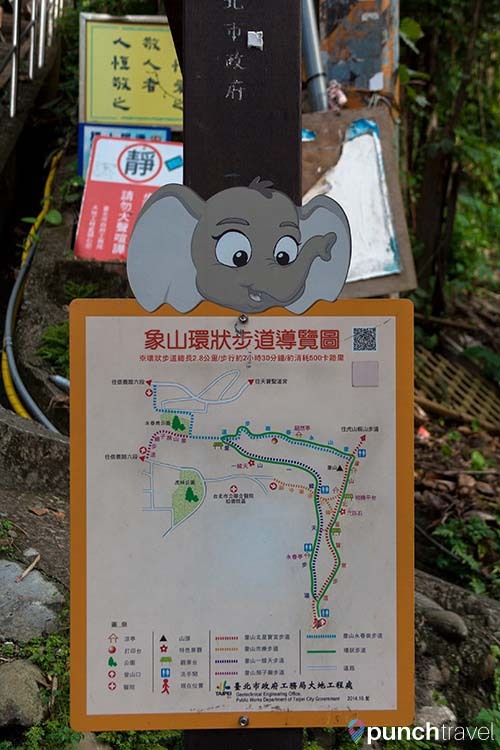 Elephant Mountain Hiking Trail is a popular destination for its relatively easy hike and for being the best place to view Taipei 101. The hike itself is short but steep, and can get quite crowded on the weekends and around sunset. 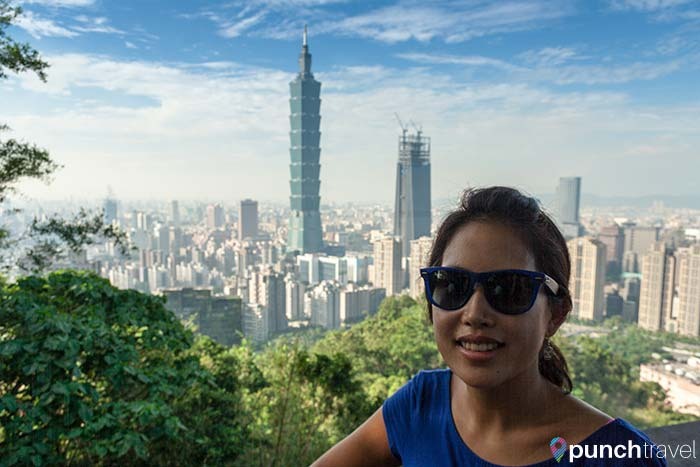 Several lookout points along the way provide a chance to view the impressive Taipei 101 tower and surrounding cityscape. 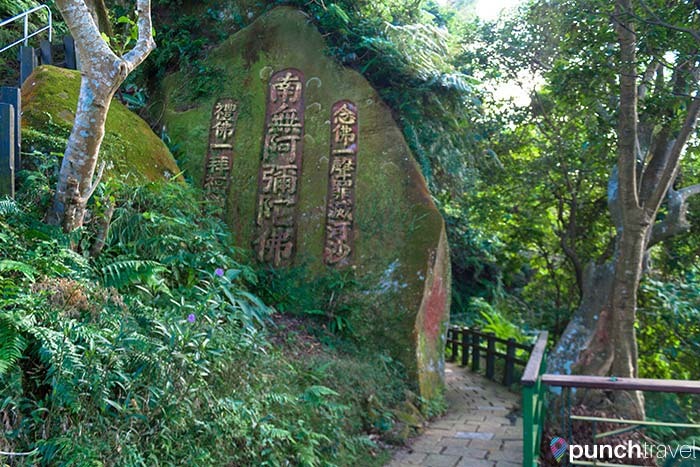 At the top of the mountain are the Six Giant Rocks, a popular place to take a photo. If you go, make sure to lather up on mosquito repellent! You can’t leave Taipei without visiting one of its many night markets. Shilin Night Market is one of Taipei’s largest and most popular night markets. 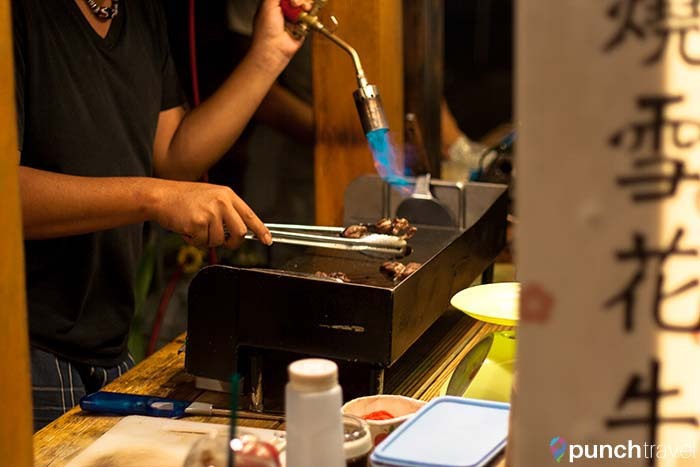 It dates back to 1899 and is famous for its street food. Get off at Jiantian MRT station and follow the crowds to the network of narrow alleyways that make up the market. Small carts crowd along the street selling savory and sweet snacks. Try some of Taiwan’s most famous delicacies like stinky tofu, tempura and oyster pancakes. 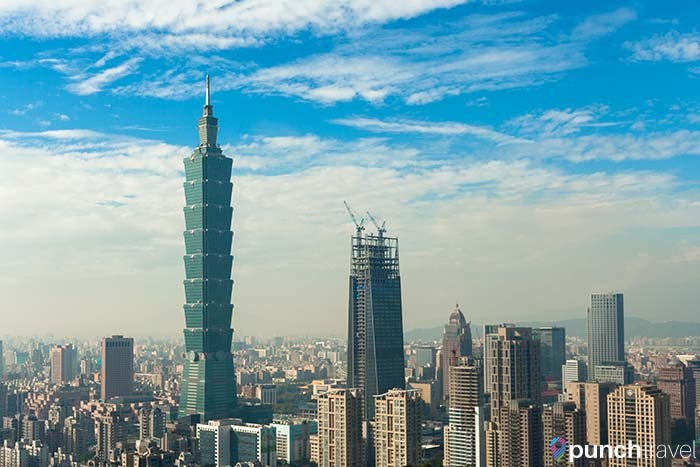 Since 2004, the Taipei 101 building has changed the city’s skyline. From 2004 to 2009 it held the title of the tallest building in the world until it was topped by the Burj Khalifa in Dubai. It does, however, still hold bragging rights to having the fastest elevator going from the 5th floor to the 89th floor in 37 seconds. The tower features a unique design to withstand earthquakes and typhoons which affect the island quite often. Entrance to the observation deck costs 600 NTD for adults. 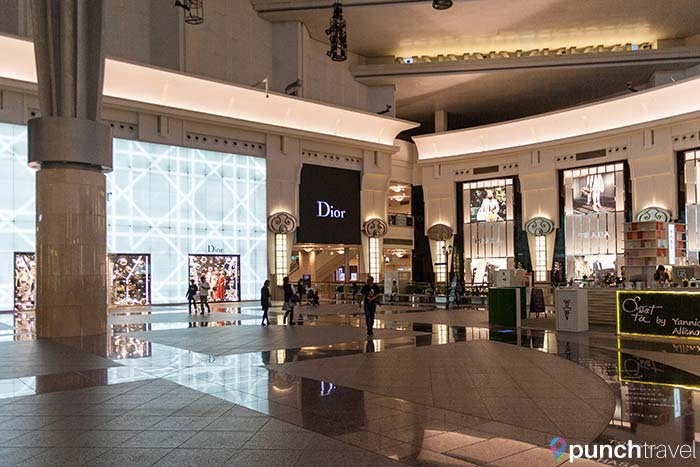 The lower levels of the tower are filled with hundreds of luxury stores and restaurants. Have lunch at one of two restaurants on the 85th floor: Diamond Tony’s 101 Authentic Italian Cuisine and Shin Yeh 101, a Taiwanese restaurant. 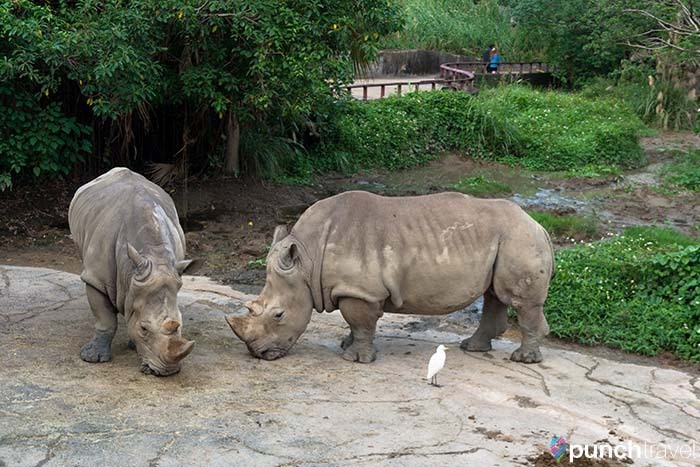 Zoos can sometimes be an uncomfortable experience to see wild animals encaptured, but the Taipei Zoo alleviates these discomforts for both animals and visitors alike. The Taipei Zoo is the largest zoo in Asia, and the large grounds mean larger living spaces for the animals. The key feature of the zoo is the geo-ecological exhibit approach in the design of the exhibits to emulate the animal’s’ natural habitat. 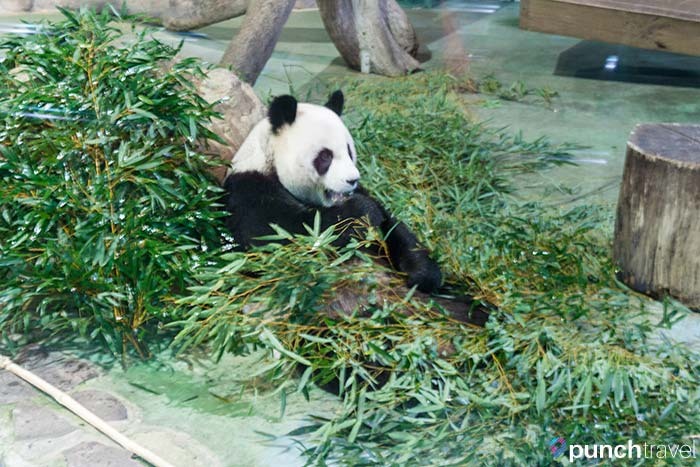 Taipei Zoo also has a Giant Panda House which contains a panda born in captivity. Other notable exhibits are the Hippopotamus Exhibit and the Formosan Animal Area which features animals endemic to Taiwan. Opposite the Taipei Zoo is the departure point for visiting Maokong. 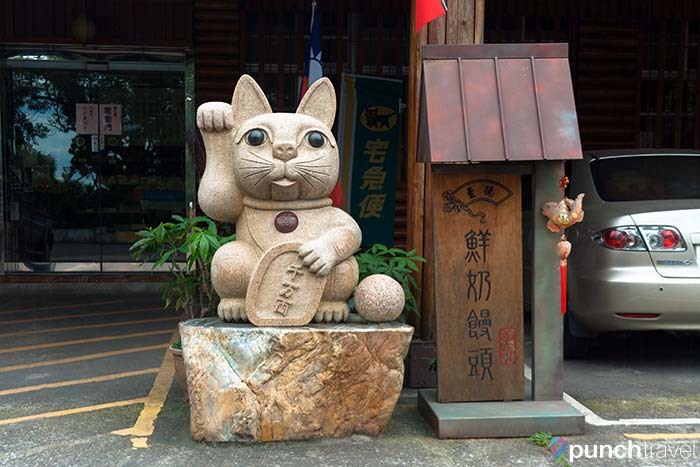 Maokong is a tea plantation region not far from Taipei, and a popular tourist destination. 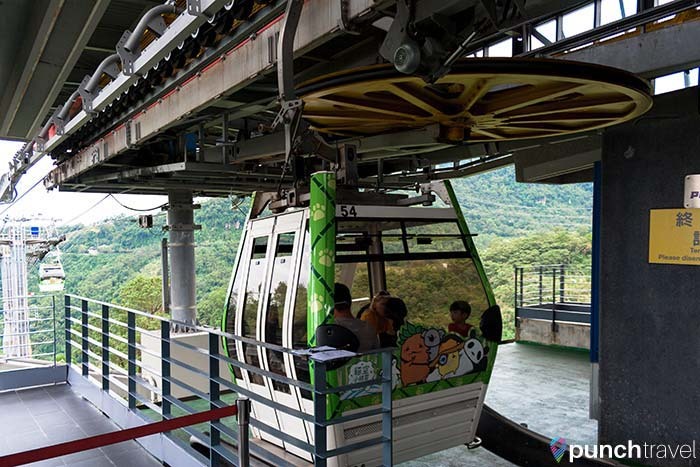 Getting there is best experienced by taking a ride on the Maokong Gondola. 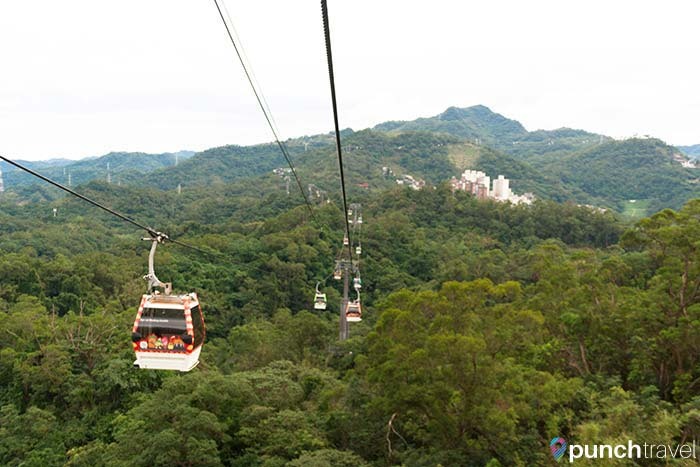 The journey from the base at Taipei Zoo Station to the peak at Maokong Station covers over 4 kilometers and takes 20-30 minutes. Along the way, you’ll pass over treetops, rolling hillsides and tea fields. The ride is absolutely breathtaking and peaceful. At the top, dozens of tea houses offer sips of their locally-grown oolong tea while overlooking the lush landscape below.